Noah attended Cheltenham High School and graduated with High Honors from Penn State University with dual degrees in Marketing and International Business. After college, Noah moved to Palm Beach Gardens, Florida where Noah immediately began working as a project manager for Toll Brothers and subsequently Centex Homes. As the youngest-ever project manager, he oversaw the entire building operation of hundreds of new luxury homes. Noah moved back to Center City, Philadelphia in 2006, after deciding to start a family and move closer to a large network of friends and family in the Philadelphia area. With his experience in new home construction, and after purchasing several homes in Philadelphia and Florida, he found that he enjoyed and excelled at giving advice and assistance to friends making their first purchase. It was only a matter of time before he would consider making his hobby a full time career. In 2008, Noah joined Coldwell Banker Preferred and rapidly became one of the company's top performing agents. In 2009, he earned the "Rookie of the Year" award for closing more deals in his first full year than any other agents in the company's history. In 2010, Philadelphia Magazine gave Noah Ostroff the 5 Star Award for excellence in the industry. Noah then formed an exceptional team of agents, marketing professionals and operations staff to help better serve the Philadelphia Real Estate market. Since its formation, the PhillyLiving Team has both set and broken records time and time again, including “Most Number of Buyer Controlled Sales” (2010, 2011, 2012, 2013, 2014, 2015, 2016, 2017) , “Most Listing Side Sales” (2013, 2014, 2015), “Most Total Units Sold” (2010, 2011, 2012, 2013, 2014, 2015, 2016, 2017), and have earned some of the highest awards offered, including “International Presidential Elite Team”(2010), “International Presidential Premier Team” (2011, 2012, 2013). Additionally the team has consistently ranked as the Top Team over the past four years, has been named as one of the top teams out of NRT’s 75,000 agents (2011, 2012, 2013) and one of the top 50 teams in the Country by the Wall Street Journal (2013). The team earned the Society of Excellence Award from NRT in 2013, which is given to less than 50 agents in the entire country. In 2014, Noah and the PhillyLiving Team moved their operation of 15 people to Keller Williams. Within their first year at Keller Williams they quickly became one of the top 4 teams in the entire company of over 170,000 agents and #1 team in the Region. Philly Living has been the #1 Keller Williams team in the region since 2014 when they joined Keller Williams. In 2014, JerseyLiving was formed. Their operations doubled by 2015 and now their team of 30+ agents and operations began to expand into other markets. In 2015, PhillyLiving expanded into the main line and began an expansion team in Bryn Mawr and Blue Bell. The Operations staff was now beefed up to 11 people, covering Marketing, Operations, Consumer Experience and Lead Generation. In 2015, PhillyLiving and Jersey Living grew sales operations in the region, and once again finished #1 in the region and #4 in the entire country. In 2016, PhillyLiving and JerseyLiving merged under their parent company, Global Living Companies, Inc. Noah Ostroff then branched out and opened his own Keller Williams brokerage called KW Philly where he became the Operating Partner (OP). Keller Williams Philly now has over 250 agents and is the #1 brokerage by Volume and Units in Philadelphia as of 2018. Ostroff set out to redefine the real estate brokerage experience, creating a unique platform where agents and teams could be wildly successful in a collaborative environment. In 2017, Global Living Companies acquired the largest real estate rental brokerage in Philadelphia, The Philly Apartment Company (PhillyApartmentCo.com), which has leased out over 10,000 properties to date. The Philly Apartment Company currently has 20+ agents and represents some of the biggest landlords in Philadelphia. Global Living has sold over 3,500 houses for almost $1 Billion in sales Volume. From 2013-2018, Noah Ostroff has donated many FREE HOUSES to various charities around Philadelphia, selling houses for free to the high bidders and donating the money to charity. From 2010-2018 Noah Ostroffs efforts have added over $40,000,000 in tax dollars to the city of Philadelphia through transfer tax. 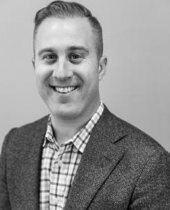 In addition to his sales business, Noah Ostroff is also the founder and CEO of Center City Development (www.CenterCityDevelopment.com), a Real estate development company specializing in the development and construction of many of the most beautiful homes in Philadelphia. Noah Ostroff and his development company were the Developers and Builders of Lombard Estates at 18th and Lombard, Rittenhouse Estates at 19th and Lombard, Walnut Estates at 22nd and Walnut, Garden Square at 12th and Bainbridge, Estates on 3rd at 3rd and Locust, as well as over 100 other properties around Center City and the surrounding neighborhoods. Ostroff and his development company have helped to employ 100’s of minority and non-minority workers throughout all of its projects, as well as helping to improve the city of Philadelphia. Ostroff plans on growing his companies to employ over 1000 people.